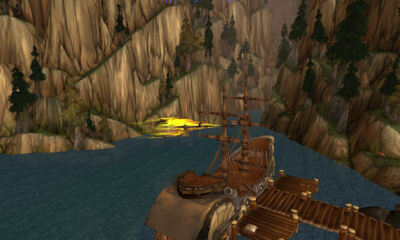 I started in the Howling Fjord. An absolutely gorgeous landscape greeted me with an assortment of quests like I had not seen before. I thoroughly enjoyed the opening quests and once I was out of Valgarde Keep, I loved the Fjord even more. The explorer's camp was fun to quest of of and the Kalu'ak are great to work with. The Fjord was just amazing with the lush landscapes, the varying greenness, and just the overall scope of the Fjord amazed me. I quickly worked my way through over 130 quests, earning the achievement, I've Toured the Fjord. Of course, while doing that, I also Explored the Fjord. I am quite certain that I gained two levels in the Fjord, if I wasn't at 72, I hit 72 quickly after moving to the Tundra. After I completed all the Howling Fjord quests I could find, I started making my way towards the Borean Tundra. To do this, I took a turtle to Moa'ki Harbor. There I quested as I am working on Kalu'ak reputation for my little penguin pet. 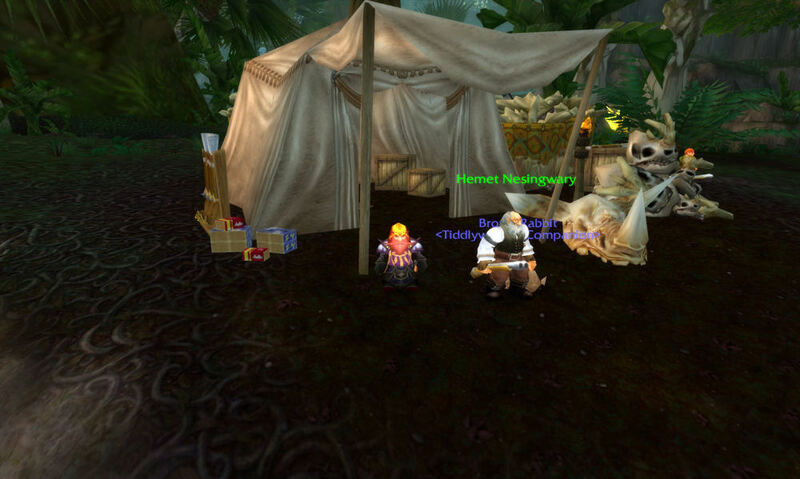 After finishing their quests, I took another turtle to the Tundra as I arrived in Taunka'le Village. They didn't have many quests to do there as I hadn't been properly introduced to them, so I made my way to Valiance Keep. On the way to Valiance Keep though, I met up with D.E.H.T.A. I did their quests, though I do not agree to their standards and completed D.E.H.T.A's Little P.I.T.A. If you ask me, DEHTA is the PITA. More on that later. I hit up Valiance Keep, and quested from there before exploring the rest of the Tundra. Except for Coldarra, I was not a fan of the Tundra - I found it bland and boring. The terrain was just dry and uninteresting for me. I had a little fun out at Fizzcrank Airstrip, but in the end, I found the Tundra vastly inferior to the Fjord. That didn't deter me though as I earned both Nothing Boring about Borean and Explore Borean Tundra. While questing in the Tundra, I do believe I hit 74. On a side note, when I hit 71, I made a quick trip to Star's Rest to pick up my Teleport: Dalaran spell. I quickly ported there and fell in love with the city. It is gorgeous! Of course, being one of only a handful of people there made it even more brilliant. It was peaceful, quiet, and seemingly, all mine. I explored all over, found a rat mentoring four turtles in the sewers, and bought a Glowing Skull. Along with Frosty, I now have 81 pets. Prior to entering the Dragonblight, at the young age of 71, I grouped with some old friends and we ran Azjol-Nerub which was amazing - short, sweet, and fun (though a little creepy) - so far my favorite instance (though I haven't run the Nexus yet). After we ran Azjol-Nerub twice back-to-back, we hit up Ahn'kahet: The Old Kingdom. That was a little more difficult as we had one 72 and 4 71's. We powered through though and basked in our glory. The next day I ran Utgarde Keep. It's a fun, quick instance, but a bit simplistic. 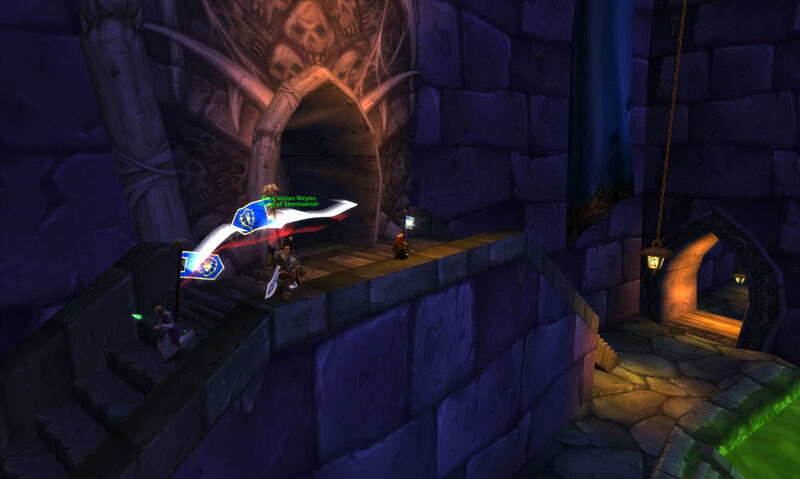 A nice introduction to dungeons for some though. So, with three zones down, I have moved on to Zul'Drak. This is quite an interesting zone. There's two distinct parts it seems. When you first enter, you encounter the Argent Crusade fighting out of little outposts against the scourge. You then move on to The Argent Stand where they have made a permanent base, though you continue fighting the scourge. I completed the full Betrayal questline, made a quick visit to the Grizzly Hills (which I am in love with) and I have only to Cleanse Drak'Tharon to achieve Guru of Drakuru. I forgot to mention that I had visited Zul'Drak prior to my "official" arrival as I was searching for Manual: Heavy Frostweave Bandage. I had already risen my First Aid skill to 410 via regular Frostweave Bandages and they turned grey to me and I had Frostweave to spare. I quickly killed some trolls at about level 73 (they were level 75) and found the manual, allowing me to achieve Ultimate Triage. I also earned The Keymaster when I hit level 73 (or maybe 74) and I picked up the quest to go into the Violet Hold in Dalaran. I currently sit at 2,895 achievement points (working hard towards 3,000 - though leveling comes first). I have not earned any more titles, though I believe Chef isn't too far away, nor Argent Champion. 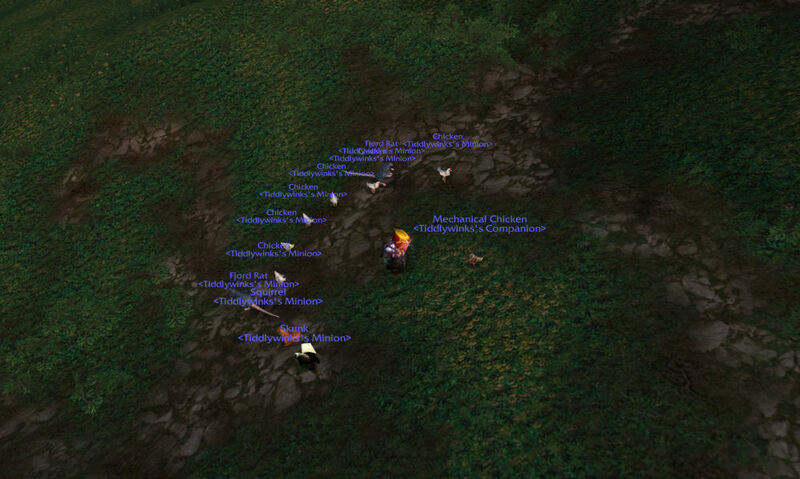 I am almost to 435 first aid, while engineering and enchanting have fallen by the wayside. Though I'm currently working to clear Zul'Drak, one other quest line has called me away from there tonight. Tonight, I will exact my revenge on D.E.H.T.A. by working for my guy, Hemet Nesingwary. As you can see, I'm ready to go blow stuff up!